Fill out our simple form and get quotes from local temporary tattooists. Temporary tattoos are the perfect way to get creative, without the commitment! Many face painters offer temporary tattoos for kids, and there’s a range of custom temporary tattoos for creatives of all ages. Glitter and temporary tattoos available. Plenty of designs, colours and ideas to choose from, all products are safe and dermatologically tested. Everyone loves glitter! We have tattoos for boys and girls, men and women in a huge variety of themes and colours. We can also provide a glitter bar and gems. Let’s add some sparkle to the party! The Glitter Tattoos, we have a wide range with lots of different colours which look great once they are done. 3 years old and above only. Glitter tattoos for children and designs for adults - I have over 50 different designs in more than 15 different colours. Cover Hampshire and West Sussex, parts of Dorset. Not the run of the mill tattoos-from rainbow to colour specific, we offer both ink and glitter tattoos. I do a mix of balloon modelling with temporary tattoos - Loads of fun! 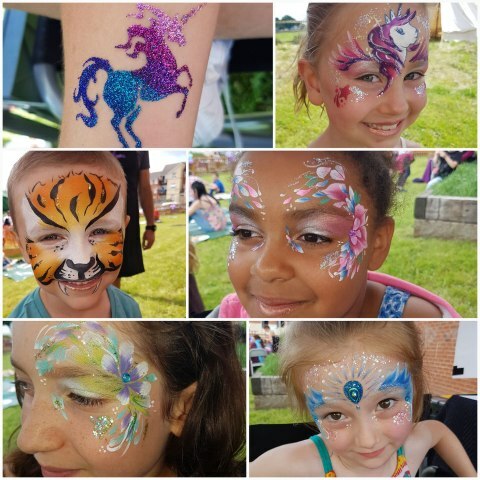 Based in Banbury in Oxford, Pierangela offers face painting, temporary tattoos, henna, glitter art, make-up services and more. They cater for birthday parties, children's parties, corporate functions, festivals and weddings. For us to provide a comprehensive quote, it is important for us to know the duration our services are required, the age group and approximate number of the guests, a possible theme, if the event will be indoors or outdoors. Would you be requiring the full package of face painting as well as temporary tattoos? We also provide at an additional price, the option of photography, whereby the clients can have a photo of themselves at the event printed straight away to take home reminding them of a wonderful event. A customer looking to hire a professional face painter, should establish if the face painter is insured. Make sure they indicate that the products they use are FDA and EU standard. Look at examples of their work to decide the standard you are purchasing and always look at the reviews of the artist, as this will give you a fairly good idea of what to expect. I started my face painting career 25 years ago. I had organised a music festival which attracted 2000 people and I needed a face painter. I became not just the organiser, but the face-painter too. I continued to play with face paints doing local festivals and village hall events, including the school plays my children were in such as The Wizard of Oz. However, over the past few years I have taken the skill to a whole new level, placing myself among the advanced professional face painters in the industry both in makeup artistry and face & body-painting. My nature is dedicated, reliable, straight forward and accommodating. I have great patience with children and particularly enjoy face painting young adults. Wow! There have been quite a few bookings through this platform over the past year. In fact, for me it has been the number 1 platform, and I love its ease of use. It also allows communication to flow easily between customer and supplier. If I had to pick one event I got booked through on this site, it would have to be the Yamaha MT Tour Event that was held in Bedfordshire. For this event, I produced Yamaha MT logo themed stencils for temporary tattoo art. I also provided my photography skills, which saw each client go home with a snapshot of themselves. The person who booked me was a fantastic host, and the team involved were fabulous to work with. I would 100% recommend Add to Event, as it has been of great value to my business. 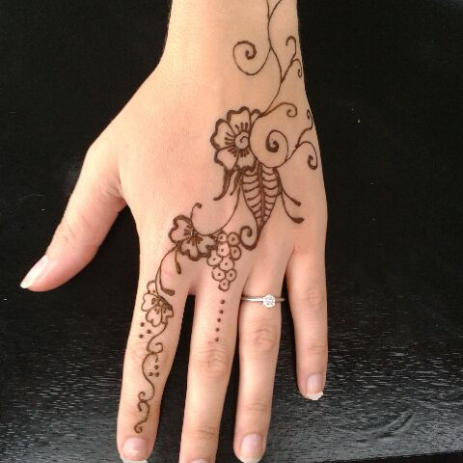 Booking a temporary tattoo bar for your child’s birthday party is bound to get you cool points! A quick and effective option for younger ones at a wedding or any event where you know there’ll be lots of kids, temporary tattoos or glitter tattoos are a great addition, or alternative, to face painting. However, the grown ups don’t have to miss out on all the fun, temporary tattoos for adults are a popular trend at festivals. Make them custom or opt for a premade design, either way it’s a great way to show off your creative side and get colourful! To view suppliers that offer temporary tattoos just browse here and complete a quote request form for prices and more information.